A Great group of Vendors are bringing LPs, 45's, CDs, Concert DVDs, Cassettes and Music Memorabilia. Jazz, Rock, Folk, Blues, Punk, Classical, Country etc. Admission is only $2 and kids get in FREE! 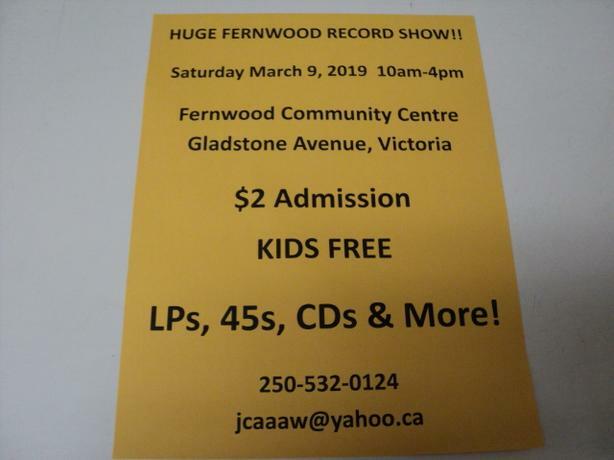 Guaranteed fun for vinyl fans! Carpool with some friends and make the trip to Victoria for this bi-annual event. For more information please email or phone 250-532-0124.